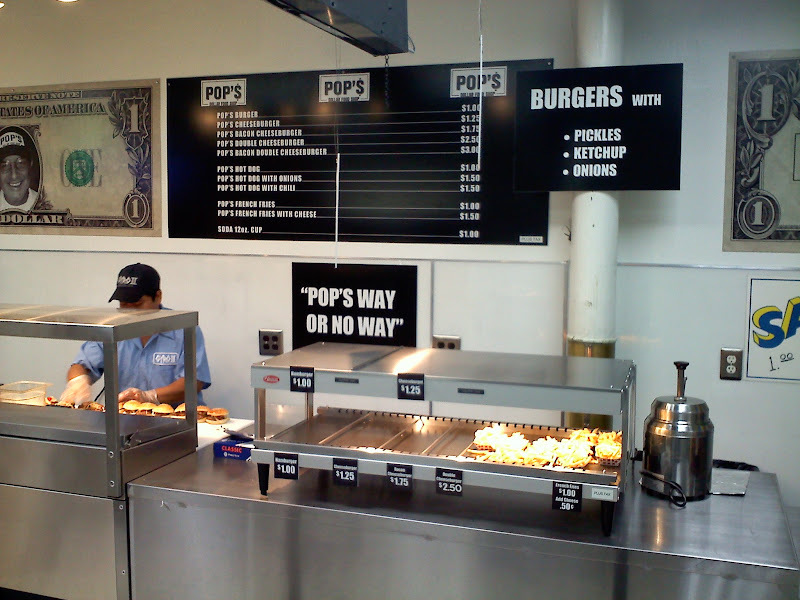 According to DNAinfo.com, a new food establishment recently opened in Midtown called Pop’s Dollar Food Shop... and they serve $1.00 burgers, hot dogs and fries. It's located in the back of a pizza and gyro restaurant on 7th Avenue between 33rd and 34th Street! Sounds a bit sketchy... but it got some pretty rave reviews in the article. The Feisty Foodie also stopped by and got 2 sliders, a hot dog and fries for just $4.35. Not too bad! If you give it a shot, let us know what you think!